Constant observation of your hive: While hive inspections are a vital component to being an effective beekeeper, there is such a thing as too many hive inspections. Every time you open up the hive to take a quick peak, it disrupts the hives growth. Digital tracking allows the beekeeper to view important data to quickly interpret the colonies health in between regular hive inspections. Strong fluctuations in the data could indicate issues in the hive that could have gone unnoticed until your next inspection. Collected data can help you understand your colonies activity: Using data collected over time, you can make better judgement such as when to feed and when to harvest honey. Weight starting to go down in your hive? That could indicate the nectar flow has diminished and the bees are starting to feed off their stored honey. At that point you can add a feeder to help them keep their food stores strong. Notice an intense plummet in weight? Their might have been a robbing. Most hive trackers also include the option of a public data center where you can compare your information to others in your area and around the US that could help determine if there may be a greater issue in your area. With the rise in technology integrating with beekeeping, some beekeepers may wonder if it's too much. After all, one of the joys in the beekeeping is cultivating a tactile relationship with the bees and the natural world. Just like with concerns about technology ruining relationships between humans, some people hesitate incorporating technology into their beekeeping practices. Can technology really change the beekeeping experience that much? We believe it does not. No matter how many different gadgets you stick to the hive, there is nothing more important to keeping your hives healthy than going in regularly and visually making sure everything is functioning properly in your colony. As the technology tells you about the colony status when you are not looking, it can help you time your inspections better, and to make more informed decisions about your colony's needs. Most of us don't want to interfere with a thriving colony, but we do want to know when one needs help. Hive tracking helps you interfere less with the strong hives and to identify the hives that really need help. Solution Bee Hive Scale: Reading both the weight of the hive and outside temperature, it can provide a constant flow of data you can use to follow your hives growth or decline during the weeks in-between inspections and through the winter. Broodminder: Using a weight scale and in-hive thermometer/humidity reader, you can continuously monitor colony health from your smart phone without touching your hive. By using the smart phone app, you can use the recorded colony history to check on queen productivity, brood rearing, swarming, hive robbing, food storage, nectar flows, moisture problems, and more. We've all been there; pushing with all our might on the hive tool just to pry the frames out of the hive, after which, we have this gooey resin stuck to our gloves or suit. Propolis is a nuisance for the beekeeper but a valuable asset for the honey bee. The sticky nature of propolis makes hive inspections challenging, stain pretty white beekeeping suits, and requires a heavy cleaner to remove from your hands. Beekeepers despise this resinous substance but the benefits far outweigh the cons. Your first thoughts of resin may be that conifers or birch but there is a vast range of different plants and trees that produce a resin to protect their leaf buds from predators. Take a look at a poplar or cottonwood when they begin producing buds and you will find a yellow, brown, or red resin seeping out. There is a dedicated class of worker bees that will forage for resin, scraping it with their mouthparts and store in their pollen basket until they return to the hive. 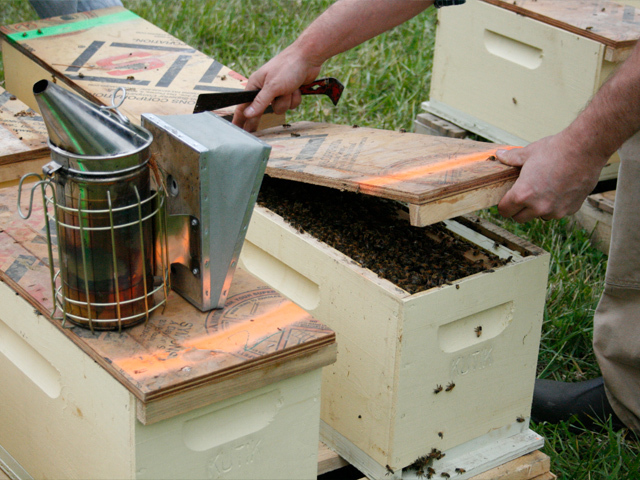 Upon their return, they will go to the areas that require the resin (now propolis) to fill in nooks and crannies. Other house bees are required to remove the propolis from the forager’s pollen basket as the carrying bee is unable. So why do bees do it? Propolis is not consumed, a pain to collect, and is a specialized task. Bees will use propolis throughout the hive to add structural support. Rougher wood will be smoothed over, holes will be filled, and frames will be secured with propolis. It is the bee’s glue and sealer. Propolis can help in fortification against opportunistic pests. Bees will entomb small hive beetles in crevices with propolis or build “propolis prisons” that prevent the hive beetles from reproducing. The presence and contact of propolis is toxic to wax moth larvae in its early developmental stage. Bees also require the variety of resins to build their immune system and reduce the immune functions of individual bees as they build stronger defenses. Studies have shown that bees exposed to propolis have a lower bacteria load in and on their body. Healthy bees are essential to a healthy colony. for bees to build upon their immune functions. Colonies will increase the rate of resin foraging during evidence of pathogens. Your colony is constantly vulnerable to fungus, molds, and bacteria. Luckily, honeybees instinctively coat every surface inside the hive with propolis for protection. Propolis provides the bees a natural defense against pathogenic microorganisms. The Brushy Mountain ProPlus Hive delivers a textured surface that encourages propolis production to increase colony health. We push for beekeepers to provide feed supplements to their colony to increase the overall colony health. 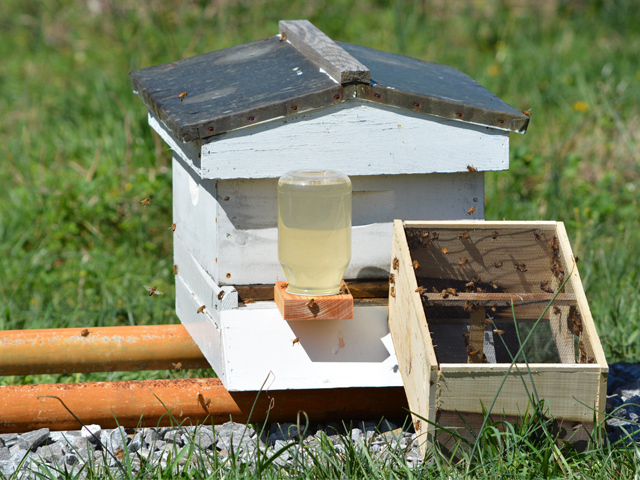 Here is another weapon in the arsenal to help beekeepers manage healthy bees. Next time you go in for a hive inspection, the headache of prying the equipment should be less painful knowing that the sticky resin is helping your bees! A few bees getting a drink of water from a nearby stream. If your hive is strong and healthy you can remove your entrance reducer (8 Frame | 10 Frame) allowing more workflow with the bees as well as more space to allow air flow. If robbing starts to occurs, then you can install a moving and robbing screen (8 Frame | 10 Frame). Using an IPM Screened Bottom Board (8 Frame | 10 Frame) with the corrugated sheet removed is a great tool to help with ventilation. Even during the colder months a screened bottom board assists in helping the bees control the hive's internal temperature. The addition of a Slatted Rack (8 Frame | 9 Frame | 10 Frame) also helps provide space for air circulation. It provides empty space for the colony to expand freely and, during the summer, they can use that space to control ventilation by fanning their wings. Can be used all year round. You can tweak the top of the hive by opening up the entrance gap in your inner cover. 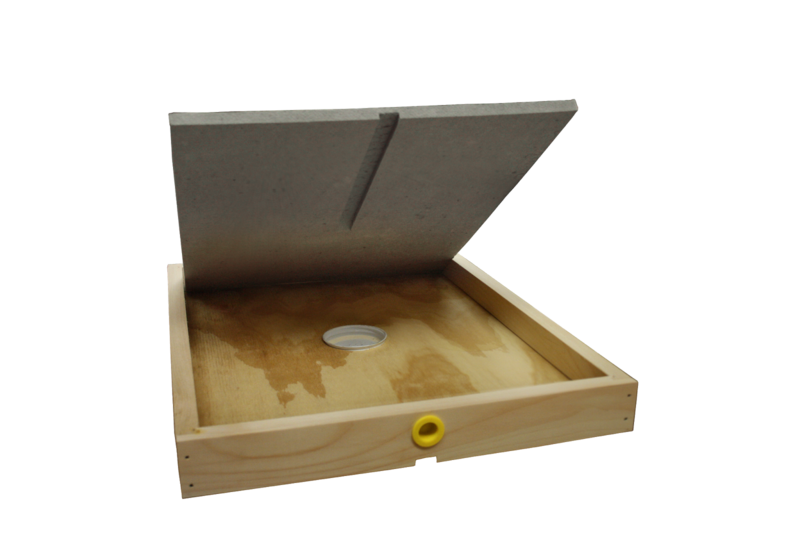 If you are in need of more ventilation than that, you can switch out your inner cover with a ventilated inner cover (8 Frame | 10 Frame), while still using your Hive Top. An Imirie Shim (8 Frame | 10 Frame) provides more open air space as well as providing an additional upper entrance. A natural way the bees take care of controlling the temperature in the hive is called bearding. This is when a large amount of bees huddle around the entrance of a hive (they look like a big bushy beard) and fan their wings to provide more air flow through the hive. If possible, by removing a frame and then equally spacing out the rest of your frames, you will provide more space for air to circulate freely through the hive. During their first summer you will want to make sure that you keep them fed and they have plenty of water available for them. Even though the world is in bloom and your hive has grown in strength there are still moments when they will need your help. An example of when you will need to provide more feed is during long periods of rain where the bees are unable to leave their hives to collect pollen and nectar. On the other side of the spectrum, if you find yourself in a drought where there are no resources available for the bees you will need to make sure you provide them plenty of nourishment. Always keep an eye on your environment and make sure you have some sugar syrup or pollen patties ready just in case. Summertime can be one of the best times of the year when you are a beekeeper. You have made it through spring and hopefully your hive has grown strong and is starting to flourish and working at or near maximum capacity. You still need to keep a watchful eye on your hive to make sure they are healthy and receiving the nutrition they need but we are at the time of year where the bees work their best! Absconding: Why is my Hive Empty? Your hive is empty? What the heck happened? Beekeeping always has an element of chance when it comes to success. For every successful hive, there is always the chance that a hive will abscond. Absconding is when an entire colony just ups and leaves their current location in search for a new home. While swarming is a very common action for a colony to take, absconding is much rarer. It can happen any time of year but is most common during the first few weeks of a brand new colony or later in the fall. Lack of Resources: One of the most common reasons is the colony deciding that there is not enough resources available to them in the area. Even if your hive has shown signs of effective foraging and activity, a quick change in the environment can cause trouble. If a colony is new in a hive and, let's say, during a dearth they are unable to find resources at their normal foraging spots, they could decide to pack up and relocate. Slightly similar to swarming except since the colony is so young, it is better for the whole colony to relocate rather than split into half. If you notice that weather conditions are hindering your colonies foraging, it is always best to provide sugar syrup using a feeder. Foul Odors: This can most commonly happen with newly painted hives. If you paint your hive and don’t give it a couple days to air dry completely before installing your bees, the fumes and odors could drive the honey bees away from the hive. Pest & Robbing: Robbing is when honey bees try to invade a different colony and steal some of their resources, whether it be stored nectar or provided feed. Even with an entrance feeder, larger pests could try and dig into the hive to try and feed off the feeder or even the bees. Depending on the severity of robbing, this could potentially cause a colony to abscond. To prevent robbing, keep a watchful eye on your hives activity and the nectar flow. Robbing happens most often during dearth’s or times of minimal resources, so if you notice that your bees are not foraging as much, you may want to reduce the entrance size to help provide your bees with less room they have to protect. Click here to learn more about robbing. With a second colony that is very strong, you can split the colony and use a portion of it to build up a new hive. 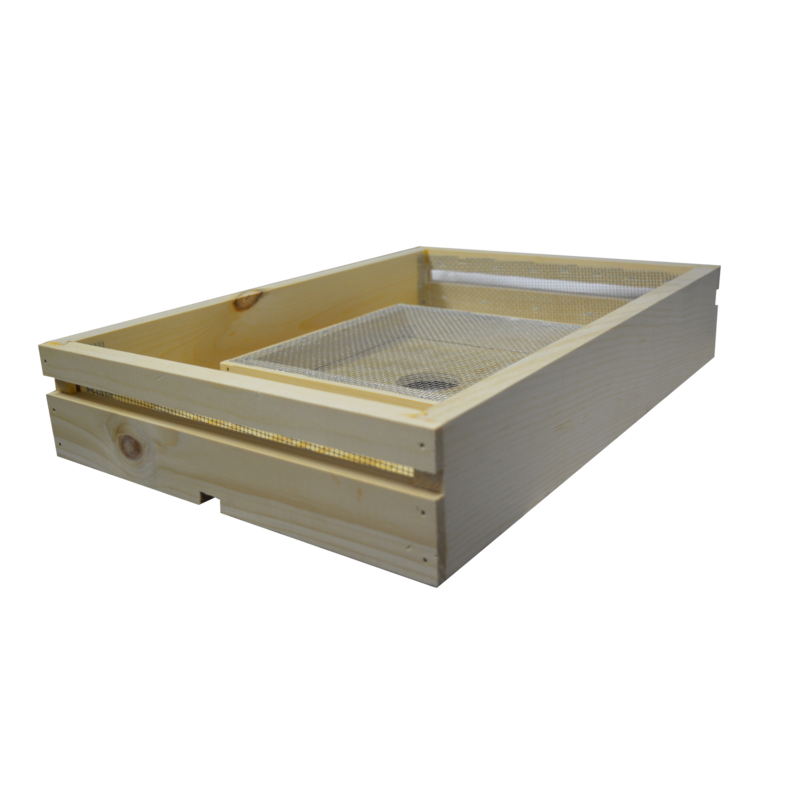 To split, select 4-5 frames from the strong colony that include a wide variety of available brood and resources (eggs, larvae, capped brood, and stored nectar). 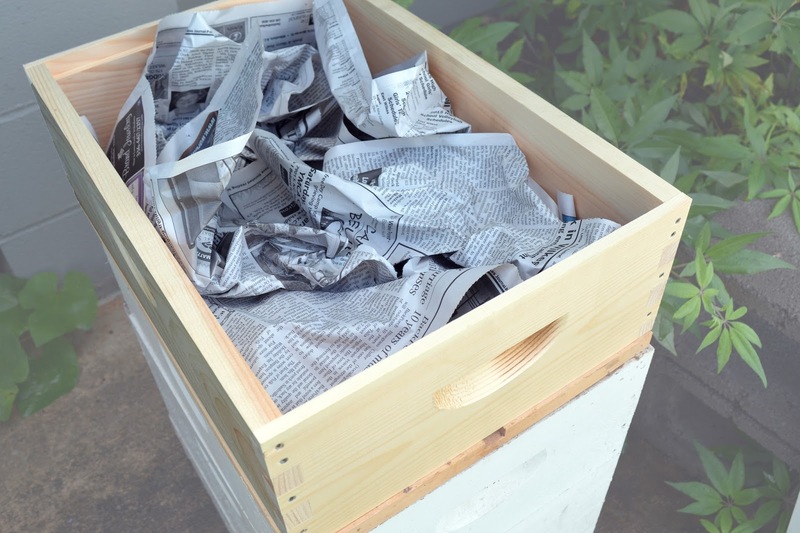 Move these frames into an empty hive and fill in all available frame space (in both the new and old colony) with drawn comb or new foundation. You can allow the colony to try and produce their own queen, but it is recommended to source your own queen and introduce her on your own. Started your hive with a package or a NUC? There is always the option of sourcing bees out again. Local Bee Associations are a great place to start when looking for the best ways to get bees in your area. Speaking of Associations, you can always get in contact with fellow beekeepers to see if they have any swarms or hives they are willing to split with you. The best prevention against absconding is observation. You do not want to open your hive constantly for that could cause just as much disruption with your hive growth (inspection every couple weeks is still recommended), but keeping a watchful eye on their activity in and out of the hive can provide you just as much information. Absconding is something only a small number of beekeepers ever have to worry about, but it is wise to understand the possibilities and stay informed.